A look at the new Southside in Napa. Photo: Jorgen Gulliksen/Linea Found. The Boat Oyster Bar at Hog Island in Marshall. 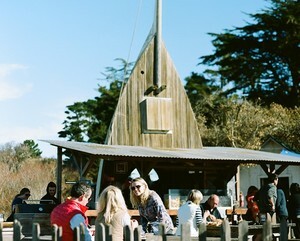 Photo via Hog Island’s website. Pisco punch with pineapple cordial and lime at Geyserville Gun Club Bar & Lounge. Photo via Facebook. Some quick 707 tidbits for you, starting with the opening of ~MIMINASHI~ in Downtown Napa from Curtis Di Fede, previously Oenotri. This izakaya restaurant is a departure from his Italian cookery (while still sourcing top-quality ingredients), with a menu featuring ramen, yakitori, noodles, rock cod karaage (deep-fried) with chile-garlic crème frâiche and Tokyo negi, and a whole chicken with daikon, cayenne, and dashi. Dinner is Sun-Thu 5pm-11pm and Fri-Sat to midnight. The bar is open until midnight with a limited menu. Cocktails, beer, Japanese ice cream, and more are available, and daily lunch service plus a takeout window will begin in June. 821 Coombs St., between 2nd and 3rd streets, Napa, 707-254-9464. 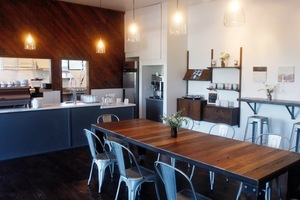 A new café has opened in Napa called ~SOUTHSIDE~, offering a Cali-Latino menu for breakfast and lunch (think Dutch baby pancakes, chilaquiles, Cubanos, farro salad) and there’s a patio, lunch to go, coffee from SF’s Wrecking Ball Coffee Roasters, plus Kilogram tea, and local beer and wine—special dinners will be in the works too. Owners Morgan and Irma Robinson are also behind Smoke Open Fire Cooking catering kitchen. Open Mon-Fri 7am-3pm and Sat-Sun 8am-3pm. 2770 Old Sonoma Rd., Napa, 707-492-3733. Looks like there are some changes at the The Boat Oyster Bar at ~HOG ISLAND OYSTER FARM~ in Marshall. According to this post on Bite Club Eats, “Seating [at The Boat Oyster Bar] is now reservation-only and no outside food or beverages are allowed.” And reservations are limited to 90 minutes, so, uh, slurp quickly? There will be tableside service at the tables from servers, with a menu (which includes the raw and barbecue oyster selection, two salads, cheeses, and charcuterie, plus wine and beer). And if you’re a no-show? There’s a $10 charge per person. Open Fri-Mon 11am-5pm, by reservation only. Fortunately, the reservation-only/shuck-your-own picnic area remains unchanged. You can keep booking in advance for $5 per person for three hours and BYOB. Whew. The hard part is getting a reservation… 20215 Shoreline Highway, Marshall, 415-663-9218. 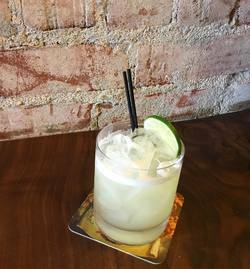 A 707 friend let me know Dino Bugica of Diavola has opened ~GEYSERVILLE GUN CLUB BAR &AMP; LOUNGE~, offering bar bites, blue plate specials, and classic cocktails. 21025 Geyserville Ave., Geyserville, 707-814-0036.